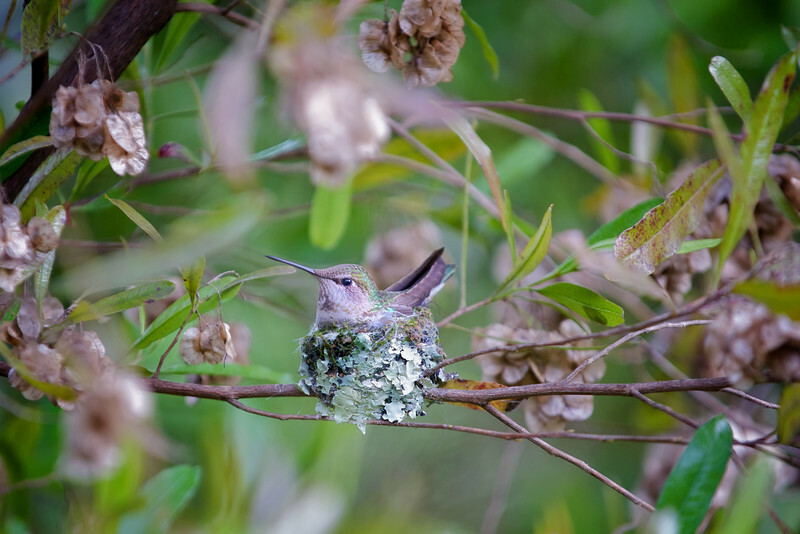 Complete set of images of nesting-to-fledging of the mother and two baby Anna's Hummingbirds. March 9-31, 2010. This set includes the entire group of 344 final images from that period. The nest is 2-1/4" in diameter. About as long as a toothpick.